Being socially responsible can present a competitive advantage to foreign enterprises in reaching Vietnam's young population of consumers. Consumer satisfaction has long been the best evidence of how much manufacturers or retailers focus on the requirements of increasingly demanding customers in the context of a fiercely competitive business environment. Customers looking to buy a new motor vehicle, for example, thoroughly compare makes and models, dealerships, and promotional offers and aren’t afraid to negotiate before deciding on their purchase, according to market researcher J.D. Power’s 2017 Vietnam Sales Satisfaction Index (SSI). The study found that Toyota Motor Vietnam (TMV) again ranked highest in overall sales satisfaction for the third consecutive year. This stems from its unceasing efforts to renovate its service and sales activities under a humane business strategy, as part of TMV’s three key pillars: realizing a powerful automobile society, contributing to the country’s auto industry development, and providing assistance to the community and society. Corporate social responsibility (CSR) activities are an inseparable part of the comprehensive business strategies adopted by many foreign-invested enterprises (FIEs) in Vietnam. “Being a good member of the local community” has always been among TMV’s most important objectives since its foundation, and its total community contributions now exceed $24 million. It organizes a host of community activities every year, in fields such as the environment, traffic safety, education, human resources development, and culture, including the Toyota Safety Education Program (TSEP), painting contests, Green Journey, Toyota Concert, the Toyota Classical Music Show, and other programs. With its annual Toyota Classical Music Show, it expresses its efforts to enhance spiritual lives in the community as well as cultural development. Late last year it granted individual scholarships of $264 each to outstanding students in five music training schools in Vietnam, for a total of $22,440. The scholarship program has been implemented since 2009 to encourage a spirit of study among young musical talent and to contribute to the development of musicians and musical culture in the country. Given that the world relies on agriculture and livestock farming, as a global company operating in the animal nutrition field, De Heus views sustainable development as an ambition in ceaselessly contributing to the food chain and ensuring food security. The company’s CSR policies encompasses the economy, the community, and the environment as three crucial factors in development, and has driven its business and operations in a responsible manner in terms of food safety, raw material purchases, and energy-saving means of transport. The company also developed and carried out education (its Green Seed project receives investment of $30,000 per year) and healthcare projects and has financially committed to a ten-year eye care project in the Mekong Delta’s Vinh Long province, called Powering Progress with Eye Care, costing $323,000 and contributing to the development of high-quality, sustainable and accessible eye care. CSR activities, he went on, have brought De Heus several internal benefits in terms of cost-savings, greater productivity and quality, and an enhanced brand image and reputation, among others. Its efforts have resulted in positive changes in society, of which its employees feel proud and which strengthens their engagement with the company. With the same vision towards sustainable development, both for business and for the community, FrieslandCampina Vietnam has been pioneering meaningful CSR programs. One, the Den Dom Dom (DDD) program, has successfully promoted the Dutch Lady brand name in Vietnam. Initiated in 2002 to prevent poor children from dropping out of school, DDD has supported the construction of new schools in rural areas to provide a better learning and teaching environment for both students and teachers. More than $1.3 million has been spent on building 21 schools nationwide and granting 25,000 scholarships to needy school children in rural areas. Inspired by the need to work towards improving the nutritional status of children in the region, FrieslandCampina also initiated the Drink, Move, Be Strong (DMBS) campaign, which aims to bridge critical nutrition gaps identified by the Southeast Asian Nutrition Survey (SEANUTS). Under the DMBS campaign, in 2017 FrieslandCampina cooperated with the Vietnam Red Cross to conduct the “Nutritional Education and Vietnamese Kids’ Development” program, which successfully reached more than 65,000 kindergarten and primary school students and 250,000 households. The program has been extended this year. Also active in CSR activities, one of the leading life insurance companies in the country, AIA Vietnam, determined that it has a responsibility to help the local community live longer and healthier lives in the context of increasing life expectancy. It spent some $400,000 on community activities last year, helping tens of thousands of disadvantaged children around the country. This year it expects to donate some $440,000 to community support and social development activities, such as bicycle donations within the “Real Life Journey” program, awarding insurance policies and scholarships and sponsoring sports and healthcare activities. Mr. Wayne Besant, CEO of AIA Vietnam, told VET that the focus of the company’s CSR activities is its “Real Life Journey” program. 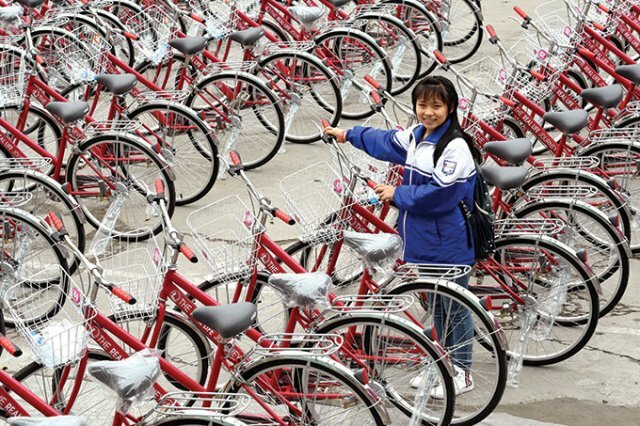 Successfully conducted for more than four years, this year it enters its fifth year with over 8,000 bicycles donated or to be donated to disadvantaged children in cities and provinces nationwide, giving them an opportunity to change their lives. CSR is challenging, she said, because it requires thoughtful planning, the building of trust, and the implementation of the company’s internal and external community activities. For many European multi-nationals, the major challenge when implementing CSR is following their group’s guidelines and adapting their strategy to Vietnam’s business environment and integrating it into a multicultural organization, according to Ms. Clemence Aron, CSR Project Manager at the French Chamber of Commerce and Industry in Vietnam (CCIFV). The main issue in the implementation of CSR strategies in Vietnam is how businesses perceive them. There are some that consider such programs to be a major involvement that can be time consuming, and some CSR approaches are isolated activities and not long-term strategic plans. The fact that Vietnam is a growing economy is also a reason why CSR is still in its early stages of development in the country. There is a lack of experience among managers in the task and management capacity to develop such programs and the expertise required remain limited. Vietnam has relied on regulations and legislation in the past to deliver social and environmental objectives in business. Limited government resources, coupled with distrust over the enforcement of regulations and legislation, has led to voluntary and non-regulatory initiatives instead, according to Mr. John Rockhold, Managing Director of Amcham Vietnam in Ho Chi Minh City. As such, there is little or no knowledge of CSR in local communities and they need to be educated so they feel confident about the aims of such programs.